Last summer a friend and I used the small town of Trinity, Newfoundland as a base to explore the Bonavista Peninsula. We both lamented the fact that our time in Trinity was way too short. It’s the sort of small town you could easily park yourself in for a week so you could explore the area in some depth. You can drive to Trinity from St. John’s in 3 – 3.5 hours. Follow the Trans-Canada Highway to Clarenville and then head east towards Bonavista on Route 230. Turn off on Route 239 to get to Trinity Bay. The sight on a clear day as you round the corner and approach the town is breathtaking. Trinity has been in existence for hundreds of years – largely due to its safe harbour which has been called one of the best in Newfoundland. Today it’s largely supported by tourists. Year round residents number around 200. Hike the 5.3 km Skerwink Trail. It’s a fabulous trail about 20 minutes out of town. For most of its length you get first class ocean views with sea stacks, rugged cliffs and rocky beaches. Also hike the 0.75 km Upper Gun Hill Trail right out of town for superb views of Trinity and the harbour. Come late August look for partridgeberries and blueberries along the way. Take the Rugged Beauty boat tour – not just for the whales and icebergs but for the first hand account of how resettlement affected the people that were moved. It’s a beautiful trip and a moving experience. 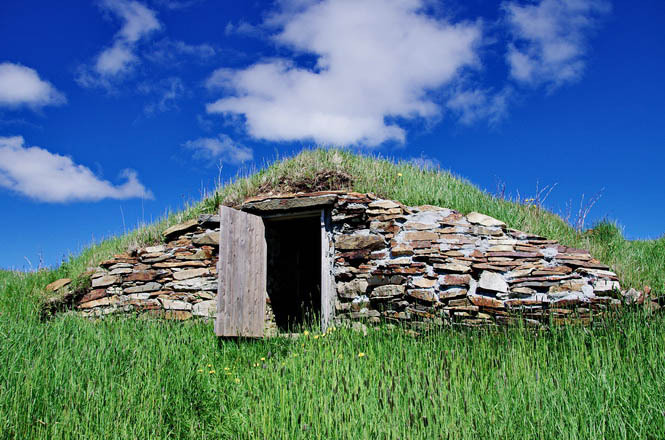 Drive the Bonavista Peninsula stopping to explore Elliston – the root cellar capital of the world. Visit a puffin colony and drive all the way to the lighthouse in Bonavista. Take a historical walking tour in Trinity. Catch a production of Rising Tide Theatre. And of course it’s always fun just to wander the town and poke in galleries and craft shops. The Artisan Inn Choose from six buildings when you stay here, all offering views of either Trinity Harbour or Fisher Cove. Two of the properties are Canadian Heritage Structures. You have a choice of renting a room by the night or a self-catering home. Fisher’s Loft is outside of Trinity in the outport of Port Rexton. On my first visit to the area I stayed here for a couple of nights – loved the room and the meals are first rate as well. Eriksen Premises was a gem of a place to stay. My friend and I had a great big room which we loved. There was a comfortable common area and a welcoming dining room. And when we left, they sent us off with a homemade cookie. There are two places I can personally recommend for meals. Twine Loft Dining is associated with The Artisan Inn. The building itself is fantastic and the meal we had there was memorable. For lighter fare – after hiking the Skerwink Trail try the Two Whales Coffee Shop on Main Street in Port Rexton. How does a visit to Trinity sound to you?